In multicellular organisms, we can distinguish between two broad categories of mutations: somatic mutations and germline mutations. 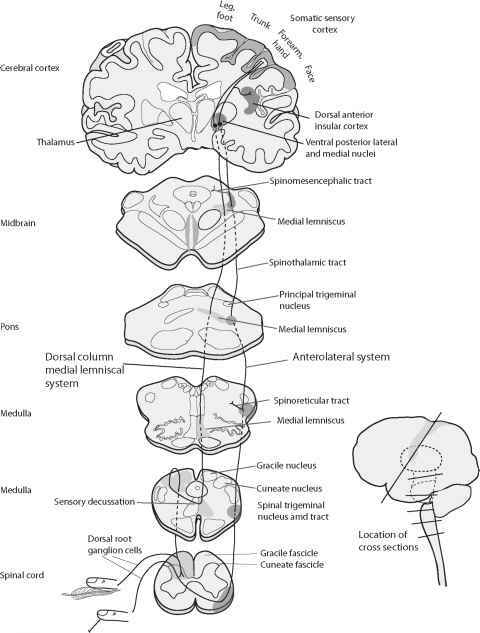 Somatic mutations arise in somatic tissues, which do not produce gametes (< Figure 17.2). These mutations are passed on to other cells through the process of mitosis, which leads to a population of genetically identical cells (a clone). 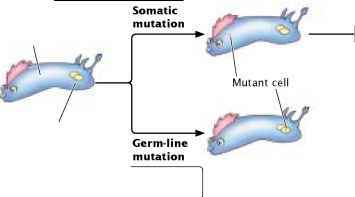 The earlier in development that a somatic mutation occurs, the larger the clone of cells within that individual organism that will contain the mutation. Because of the huge number of cells present in a typical eukaryotic organism, somatic mutations must be numerous. For example, there are about 1014 cells in the human body. If a mutation arises only once in every million cell divisions (a fairly typical rate of mutation), hundreds of millions of somatic mutations must arise in each person. The effect of these mutations depends on many factors, including the type of cell in which they occur and the developmental stage at which they arise. Many somatic mutations have no obvious effect on the phenotype of the organism, because the function of the mutant cell (even the cell itself) is replaced by that of normal cells. However, cells with a somatic mutation that stimulates cell division can increase in number and spread; this type of mutation can give rise to cells with a selective advantage and is the basis for all cancers (see Chapter 21). Somatic mutations occur in nonreproductive cells. | Germ-line mutations occur in cells that give rise to gametes. Va .and are passed to other cells through mitosis, creating a clone of cells having the mutant gene.